Anyone who has ever received an email with broken links knows how frustrating it is. Marketers who promote their products by email are especially sensitive to this: If your customer can’t find the relevant offer, your campaign is sunk. Today, email marketers do their best to check all their links individually before sending out their promotions. It’s a tough process. “In talking to email marketers, we know that they spend a large amount of time testing email content, especially links,” says Eshita Shah, product manager for Adobe Campaign. But what if there were a better, quicker, and more accurate way? Adobe Researchers are working on a new approach that could save time for those using email as a promotion tool. This technology could also prevent a lot of headaches caused by broken or irrelevant links, even after emails get sent out. Collaborating with senior research scientist Eunyee Koh and Adobe Campaign and corporate marketing staff, Tak Yeon Lee—a research scientist at Adobe Research—launched an effort to create an automated monitoring agent for promotion emails. 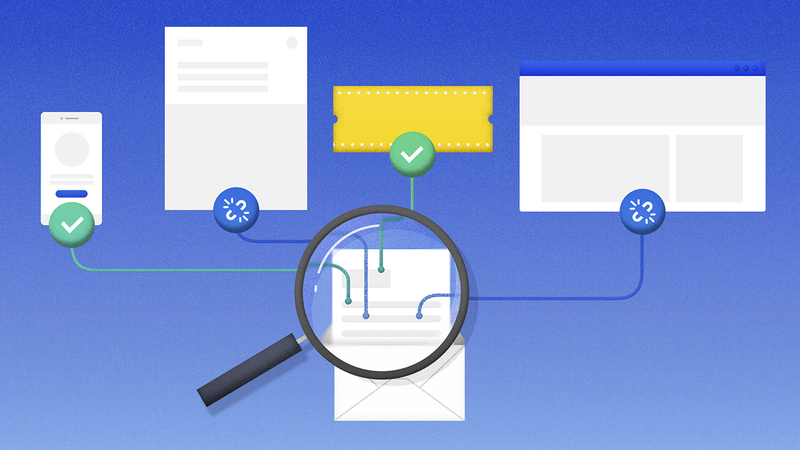 “This addresses a real pain point for email marketers,” says Koh. The researchers’ survey found that customers are often confused or disappointed by links in the emails they receive. For instance, once a limited-time offer is expired, the link may take them to a domain root page, a different deal, or an error message. This creates a broken experience for the customer, lowering chances of further engagement. To tackle this problem, Lee and Koh began by collecting a set of “misaligned” marketing emails with broken or irrelevant links. The team then worked to build an algorithm that could uncover the relevance between hyperlinked pages in the email’s content. Lee and Koh used machine learning to help extract the meaning behind images (for example, a shoe photo could be associated with text with the word “shoe” in it), and to understand keywords. Their tool evaluates the overall context of the email and linked pages. Next, they provided email marketers with a visual monitoring panel where this algorithm-driven agent displays images of exactly which pages an email links to, already a vast improvement checking each page individually. The agent also provides labels for the links: are they working and relevant (green), of questionable relevance (orange), or broken or nonexistent (red)? Marketers can quickly grok the value of their links by reviewing a single screen. To make things even easier for email campaigners, Lee and Koh tested and fine-tuned their metric using crowdsourcing, and then developed interactive reports from the monitoring agent. With this tool, broken links need not keep marketers up at night even after customers get emails: these reports could continue after the email is sent, to alert marketers that a link has become irrelevant after the fact. The team is partnering with Adobe staff who have intimate knowledge of how demanding it is to stay on top of broken or misaligned links in their email marketing. Their work was published in a research paper at the CHI 2018 conference and is being recognized in the media. Mathieu Hannouz, senior evangelist and group manager at Adobe Experience Cloud, previewed the experimental tool for a writer for Email Marketing Daily. The effort resulted in a story on MediaPost that showcased the technology and its smart use of machine learning. Lee and Koh continue to make strides in building this tool into a one-stop solution for finding and fixing broken links. “This tool could eventually be applied to any document containing links,” says Lee, signaling the work’s future promise.